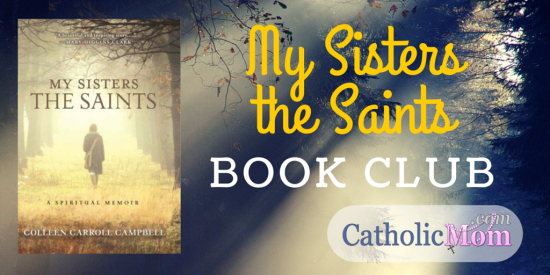 CatholicMom.com has a new book club going on, centered around Colleen Carroll Campbell’s book My Sisters the Saints. Each Saturday, there’s a new post on a chapter of the book, and you’re welcome to join in the discussion. In chapter one of My Sisters the Saints, Colleen writes about her spiritual awakening in college. 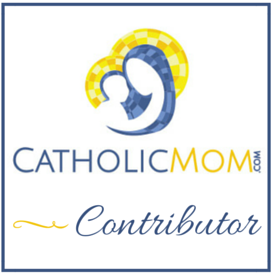 After growing up in a devoutly Catholic home, she went through a period in her early adult life when she was only nominally Catholic — following the letter of the law without the spirit of the law making an impact on her life and her decisions. She discusses how her party girl life left her feeling empty and unfulfilled, but that those feelings were what led her to take her first steps to “open the door to God.” After a heartfelt prayer asking God to help her reclaim the joyful faith of her childhood, she was slowly, but surely, drawn closer to God. Colleen’s faith sounds a lot like my own when I was in college, and I could easily relate to her experiences of living in the world with only a toe in the Church’s life. When I went away to college after obtaining my Associate’s at the local community college, I went from going to Mass every Sunday to going only if I was home with my parents for the weekend. And even then, I frequently missed Mass because I was working part-time as a waitress when I came home, frequently working four shifts in three days to make money for books (and fun). Plus, I really needed to be sure I saw my boyfriend enough, and of course there had to be time carved out to go out clubbing with our friends.